Your personalized copy of THE WELL OF TEARS will be shipped in the next 7-10 days. I hope you enjoy the book! For those of you who didn’t win, the sweepstakes giveaway on my FB author page is still live. To enter, click on the Facebook icon in the right column on this page, or go directly to the sweepstakes entry page. Follow the directions and you will be entered to win a signed copy of THE WELL OF TEARS and some party swag. 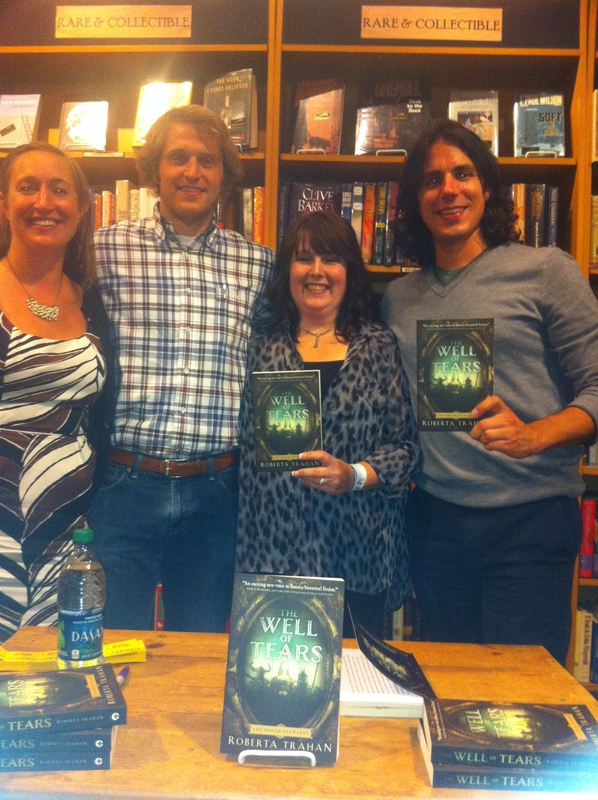 My book launch party and first ever author signing at Third Place Books was a huge success. Loads of colleagues, friends, and family showed up and there was lots of love in the room. 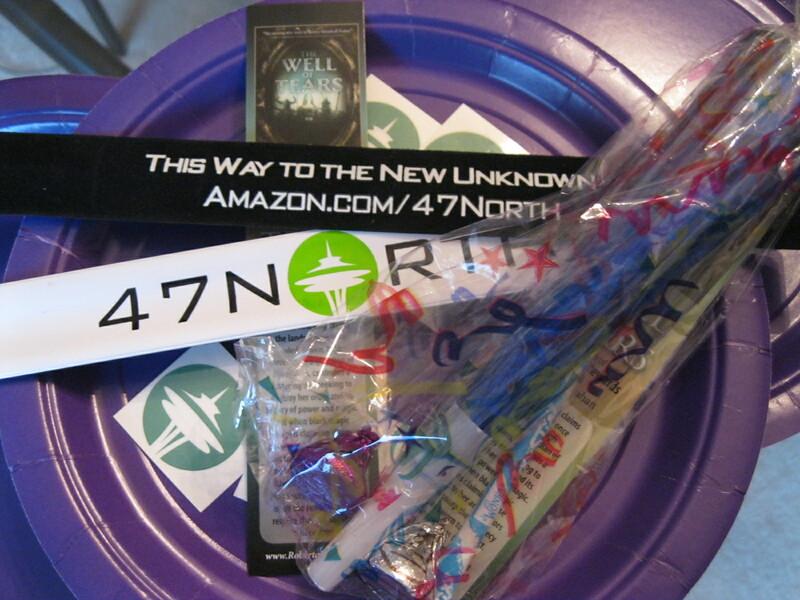 We had cake and great swag (slap bracelets and temporary tattoos courtesy of 47North). Next was a truly inspiring weekend with writers and authors at the 27th Annual Write on the Sound Conference in Edmonds, WA. This intimate event is held every year in a quaint, village like setting on the shores of Puget Sound. I had so much fun working and talking with writers at all stages of their creative journey. Also in attendance were my pals publishing expert Jennifer McCord, local author and arts commissioner Joanne Otness, and best-selling author Carla Neggers. The weather was beautiful and the event couldn’t have gone any better! Next up is the annual independent booksellers regional trade show sponsored by the Pacific Northwest Booksellers Association. I will be talking to booksellers and librarians (and signing books) on Monday, October 15 at 10:45 on the show floor. If you are going to be at this event, please stop by and say hello!